This is what she had to say about it, From Victoria: "THIS made my day. He gave up running 10+years ago due to a bunch of running injuries and came to me because he wants to run again. Well he did it! 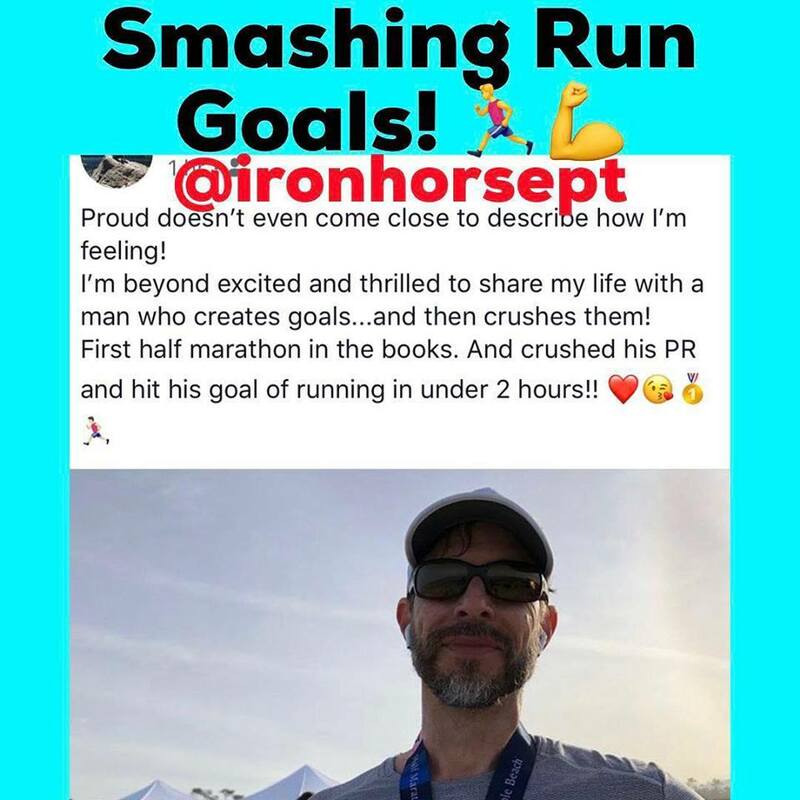 And he crushed it with a Sub 2 hr half marathon and PR. His wife is a fellow Physio/PT colleague who trusted me to help him. I’m so humbled, flattered and grateful that my fellow PT colleagues and network of Physicians choose to work with me and my team @Ironhorsept even though we “don’t take insurance”. 👉It tells me that we’re doing something right in my practice. 👉This is a great example of how therapeutic alliance/partnership between therapist + patient = WIN." FYI, we set up the practice to be "OUT of Network" with insurance companies ON PURPOSE so we can treat patients the way we think they deserve. By going out of network, the patient and the therapist work together as PARTNERS to dictate the treatment process. Once you go IN network with your insurance, the insurance company is now the dictator of how treatment goes. Because profits are their #1 priority, your care may be sacrificed. For example, you can't address that back problem on the same day you get treatment for your knee. Even though we know that everything int hte body is connected and successful rehab happens when you address the body as whole!